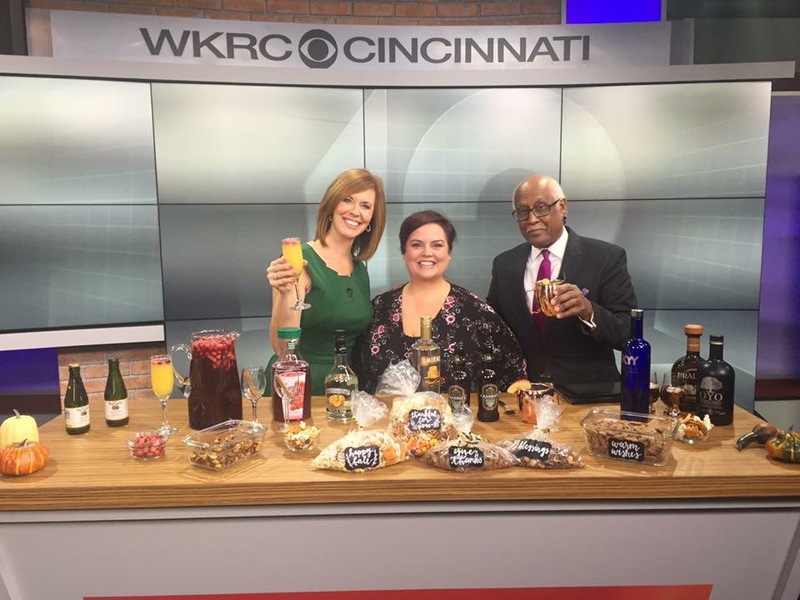 WKRC Cincinnati and Thanksgiving Cocktails! – Go There. Try That. It’s the day before Thanksgiving; most people have their big meal planned and prepped. 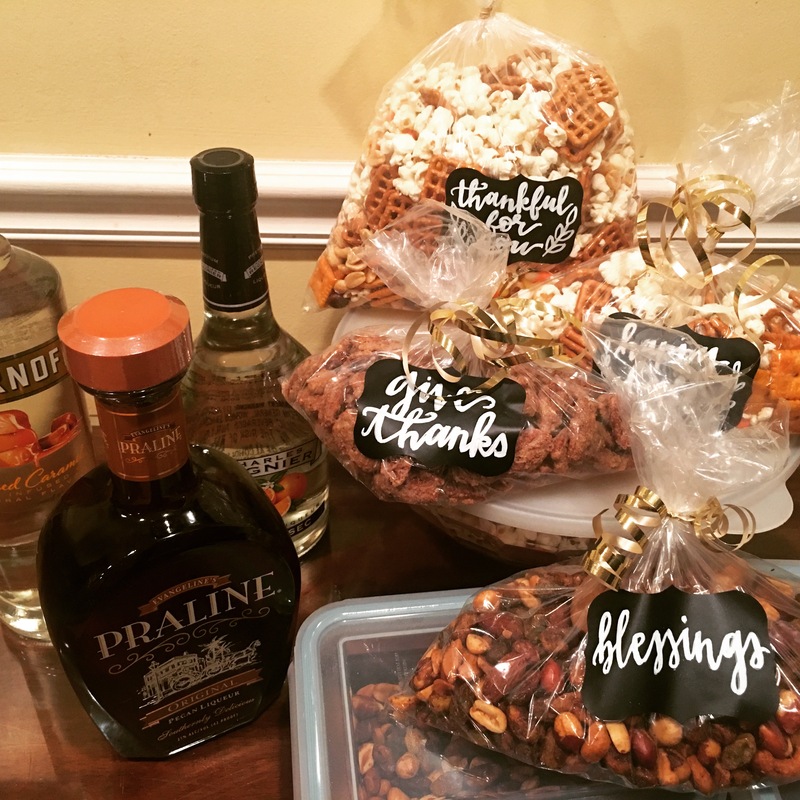 If you want to elevate your gathering while lightning the mood, I have some holiday inspired cocktails and roasted nuts for you to make! Never show up at a party empty handed! As I told Channel 12 anchors Sheila Gray and John Lomax, even if you can’t be trusted to make the mashed potatoes, you can still make a mean mixed drink! On Cincinnati WKRC local 12 this morning, I offered up some roasted nuts and other snack mixes. These were straight up Pinterest successes and super easy to do. I’m including the link for the Sugar Cinnamon Pecans, the Sweet and Spicy Mixed Nuts, and the Festive Snack Mix. I love the idea of cayenne and maple syrup coating the mixed nuts, but man, those sugary pecans, slowly roasted over an hour, are melt in your mouth goodness. Tie these up in a bag or put in a small glass jar, add a label, and use as a hostess gift or a party favor. As for drinks, I had fun searching Pinterest and experimenting! I am actually alcohol intolerant (I break out in hives) (and yep, I’m everyone’s designated driver), but I love throwing parties, especially a good themed party. The idea of elevating a gathering with the flavors of Thanksgiving kind of made me giddy. I ended up going with a Bourbon Pecan Pie (my Mad Men inspired drink), a Caramel Apple Moscow Mule (the trendy drink), an Apple Cranberry Sangria (beautiful on a table), and a Sparkling Mimosa (people like me need to feel special, too)! My Pinterest use fluctuates. I get on and pin, pin, pin, pin, pin . . . and then don’t create. I’m trying to get better at pinning and following through! From the eats to the drinks, no Pinterest fails here! This is such a fun way to take your party to the next level. Bring a little flavor! A little pizzazz! Make your guests and your host happy! GO THERE (Party Source, Pinterest, Channel 12)! TRY THAT (Sugar Cinnamon Pecans, Caramel Apple Moscow Mule, Apple Cider Sangria)!